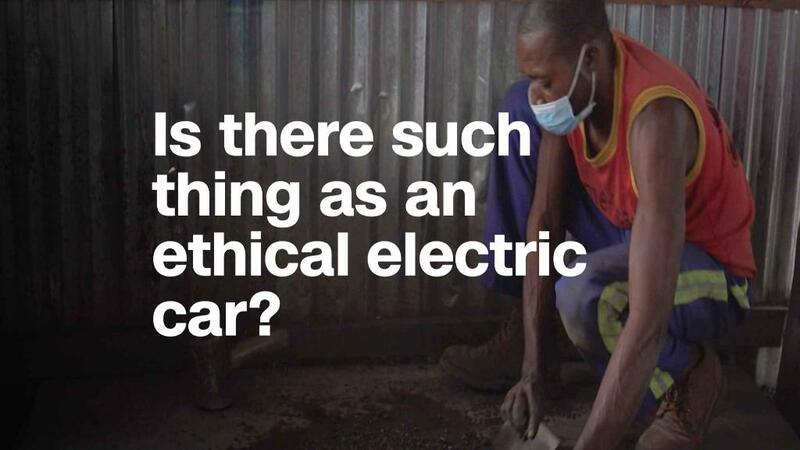 Is there such a thing as an ethical electric car? New cars sold in the United States must now be outfitted with rearview cameras to try and reduce the number of deaths and injuries that happen when vehicles back over people. The federal safety requirement took effect on Tuesday, about four years after it was first announced by the National Highway Traffic Safety Administration. "NHTSA prioritizes safety on US roads, and yesterday we reached an important milestone," said NHTSA administrator Heidi King, in a statement on Wednesday. "This technology helps drivers see behind the vehicle, which we anticipate will help save lives and prevent injuries." The rule applies to all new vehicles weighing fewer than 10,000 pounds, whether they're manufactured in the US or imported. Most models of cars, SUVs and trucks weigh less than 10,000 pounds. Most new cars are already in compliance with the rule. According to the Insurance Institute for Highway Safety, 97% of 2018 models have rearview cameras, compared to 8% in 2006. This is a victory for organizations like Consumers Union and Advocates for Highway & Auto Safety, both of which had long advocated for the requirements. "This regulation by the US Department of Transportation will save lives and save consumers money," said Advocates for Highway & Auto Safety, in a statement. "No longer will consumers need to pay for a rearview camera as an expensive option." According to the most recent numbers available from the NHTSA, these types of accidents cause 210 fatalities and 15,000 injuries per year in the United States. More than 30% of the people who die are children under 5, and more than a quarter are seniors 70 or older. Consumer Reports has conducted studies, using traffic cones in place of children, showing that the use of rearview mirrors without cameras can have blind spots that range from as little as six feet behind small sedans to 44 feet or more behind full size SUVs. The introduction of rearview cameras allow drivers to see what was in that blind zone.